BEIRUT, Lebanon — Israel on Monday appeared to have escalated its shadow war in Syria against Iran, with a predawn airstrike against a military base that coordinates Iranian-backed militias, killing four Iranian military advisers. The dead included a colonel who served as a senior officer in Iran’s drone program, according to Iranian news reports. The attack on the Syrian air base near the desert town of Palmyra in central Syria drew new attention to a conflict between Iran and Israel that has been steadily increasing in intensity while mostly hidden in the shadows of Syria’s civil war. As Iran has taken advantage of the war’s chaos to build a substantial military infrastructure, Israel has launched scores of strikes to try to stop it, or at least to slow it down. Israeli officials declined to confirm or deny that Israel had conducted the airstrike. It followed a vow by President Trump to respond to an apparent chemical weapons attack by the Syrian government near Damascus on Saturday. It did not appear to have been in response to that event, raising the possibility that Israel had merely seized the opportunity to take out what it saw as a threat to its own security. Israel, which shares a frontier with Syria, has been concerned throughout the conflict about the Syrian government’s use of chemical weapons. On Sunday, Yitzchak Yosef, the Sephardi chief rabbi of Israel, condemned the chemical attack. Russian and Iranian news services reported that two Israeli F-15 war planes carried out the strike, which a conflict monitor said killed 14 people. The Russian military said the planes had approached from the Mediterranean Sea before firing from Lebanese airspace. Syria’s air defense systems shot down five of the eight missiles fired, according to the Russian news agency Interfax. The other three missiles hit a Syrian military base known as T4 that has played a central role in Iran’s expanding military activities in Syria. Iran has long been a close ally of Syrian President Bashar al-Assad. Both countries see themselves as part of the “Axis of Resistance,” an alliance of forces opposed to American and Israeli influence in the Middle East. Israel now worries that as Mr. Assad’s position becomes more secure, Iran has turned its focus to the military capacity it appears to be building to help it in a future confrontation with Israel. Israeli leaders frequently threaten to bomb Iran, so having strong military proxies near Israel’s borders gives Iran some protection. If Israel attacks Iran, the thinking goes, it knows it can expect a painful response from Hezbollah in Lebanon, and perhaps from other militias now operating in Syria. Israel had attacked the T4 base at least once before, in February, after Israel intercepted what it said was an Iranian drone that had penetrated its airspace. Israel said it targeted the command-and-control center Iran had used to launch the drone. Syria’s air defenses shot down one of Israel’s F-16 fighter jets, which crashed inside of Israel. 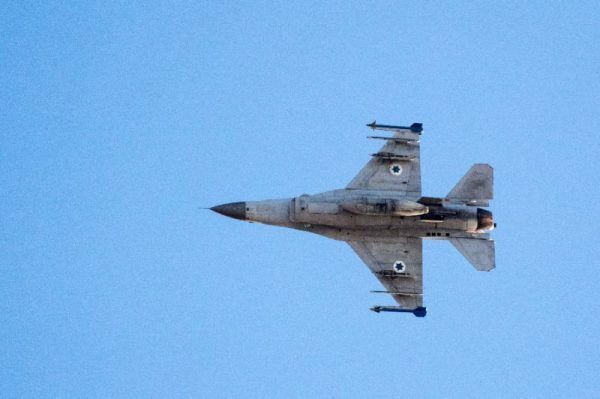 It was the first Israeli plane lost to enemy fire in decades, and Israel responded with a broad wave of strikes against a dozen Syrian and Iranian targets in Syria. News reports that one of the Iranians killed on Monday was a colonel in the country’s drone program suggested that Israel had become increasingly concerned about Iran’s unmanned aircraft capabilities. “The more we see of this, it seems like it’s a strike against Iranian capacities to operate drones from Syria potentially against Israel,” said Ofer Zalzberg, a Middle East analyst for International Crisis Group, who is watching the Israeli-Iranian hostilities in Syria. Worried that Iran is using the cover of the war to strengthen its allies in Syria, Israel has repeatedly launched airstrikes on what it believed to be weapons convoys bound for Hezbollah, which fought Israel to a standstill in a monthlong war in 2006 that killed hundreds of people. The Israeli government never acknowledges individual strikes, and the Syrian government and Hezbollah do not always acknowledge when they have been hit. But last August, Maj. Gen. Amir Eshel, the outgoing commander of the Israeli Air Force, acknowledged that Israel had launched nearly 100 strikes on convoys since 2012. Monday’s strike came one day after President Trump called Mr. Assad an “animal” and warned him and his Russian and Iranian backers that they would have a “big price to pay” for the alleged chemical attack that killed dozens of people near Damascus on Saturday. Russia was also the first to contend that it was Israel that had carried out Monday’s airstrike, a departure from what analysts said was its previous policy of looking the other way when Israel hit Iranian assets in Syria. “Moscow decided to be judge and jury — to side with Assad and Hezbollah, which were saying it was an Israeli attack, rather than siding with Israel in allowing Israel to maintain ambiguity,” said Mr. Zalzberg, the analyst. The latest escalation comes at a pivotal time for the United States, as Mr. Trump charts the American course in Syria. He said last week that he wanted to withdraw the approximately 2,000 American troops based in eastern Syria, where they are fighting the jihadists of the Islamic State, but his vow to respond to the reported chemical attack risks pulling him into Syria in other ways. Some of his advisers believe that limiting Iranian ambitions is one reason the United States should maintain some military presence in Syria. Despite Mr. Trump’s promise to respond to the chemical attack, which killed at least 49 people in the Damascus suburb of Douma, it remained unclear what he would do and how it would relate to a broader American policy toward Syria. After a similar attack killed scores of people in the village of Khan Sheikhoun in northwestern Syria a year ago, Mr. Trump ordered missile strikes on the Syrian air base where the attacks had originated.